Gordon Smith was appointed by Governor Janet Mills as the first Director of Opioid Response in January of this year (2019). Previous to this position, Gordon had been with the Maine Medical Association in a variety of positions for 39 years, the last 25 years serving as Executive Vice President. He is a native of Winthrop, Maine and a graduate of Winthrop High School, the University of Maine and Boston College Law School. He and his wife reside in East Winthrop and are the proud parents of two adult daughters and two grandsons. While at the Maine Medical Association, Gordon held a number of Board positions including the Daniel Hanley Center for Health Leadership, the Maine Cancer Foundation, the Maine Health Data Organization, The Area Agencies on Aging and Maine Quality Counts. He also was very active in a number of national medical organizations including chairing the Litigation Center and the Advocacy Resource Center of the American Medical Association. 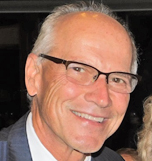 He is the recipient of several awards and honors including the American Medical Association Lifetime Achievement Award for Medical Society Executives.